So happy to join you today! You know I love hanging out here at the Dish. Congratulations on your latest release, A Rogue by Any Other Name, which comes out TODAY! It received a starred review from Library Journal, was named an RT Top Pick!, and received five stars here at the Romance Dish (scroll down to see my review or click here). Can you tell our readers a little about the story? Anyone who has read Eleven Scandals to Start to Win a Duke’s Heart knows that I just couldn’t leave Penelope to a life of sad boredom once she was jilted by Simon. She deserved better. She deserved to be the heroine of the first book of my new series! And here’s the best part—she deserved a hero who was going to love her desperately—much more desperately than Simon could have. So, I gave her Bourne, the coldest, cruelest, quietest of the heroes in the Rules of Scoundrels series. Nine years ago, Bourne lost everything that wasn’t entailed in a single turn of the cards. He’s spent the decade since rebuilding his fortune, and preparing for his revenge. When he gets a shot at it, he takes it...even though it comes with a bit of baggage—namely a wife. Enter Penelope! A Rogue by Any Other Name is the first in your new Rules of Scoundrels series. How are the books connected? And where did the idea for the series come from? First, I love society. I’m fascinated by the way that people were either born into favor, or had to claw their way there, and the way that—no matter how favored you were—everyone was one bad idea or clandestine moment from falling from grace. Second, I love the underworld. The sketchy, dark corners of this young, growing city, filled with prostitution and thievery and gambling. I suppose it was only a matter of time before I wrote a book merging the two. I think readers are going to love how you merged the two worlds together. Penelope is a secondary character from Eleven Scandals to Start to Win a Duke’s Heart and I am so glad you gave her a happy ending. As you mentioned, she truly deserved it! Did you always know she would be a future heroine? I didn’t know she’d be a future heroine when I started writing Eleven Scandals, but the moment I wrote the scene at the betrothal ball, when Juliana (the heroine of Eleven) meets Penelope in the ladies’ salon and watches her wash her hands, I knew I couldn’t leave her jilted. She was too special. I like to think that if I hadn’t given her her happily-ever-after, Juliana would have stepped in and done it herself. LOL! That sounds exactly like something Juliana would have done! Rogue takes place in 1831 and many scenes occur in a gaming hell in London. How much research did you have to do and what is the most interesting fact you discovered? I knew I wanted the series to have a sense of time and place in a way that my other books haven’t. I wanted the hell to feel like it was its own character, like it breathed and had a life and secrets of its own. To do that, I had to learn everything I could about gaming hells. Once I was down the rabbit hole of research, I discovered a fascinating character, William Crockford, the grandfather of the modern casino. The history on the man himself is hazy, and he’s more myth than fact these days, but its generally accepted that he grew up the son of a fishmonger in Temple Bar and pulled himself up by his bootstraps, first running dice games in the slums of London, then his own small hell, and finally trading up for an enormous casino at 50 St. James’s, just across the street from White’s. Where White’s offered a civilized place for men, Crockford’s offered vice and sin and fun...and the aristocracy ate it up. There are dozens of great stories that I’ve uncovered about Crockford and his eponymous hell—and many of them will end up in the series, I’m sure. But one of my favorites is this: Crockford wanted the best of everything...and when he decided he wanted something, he went out to get it. On one particular occasion, he decided that he wanted to have the best chef in the world working for him—so he went and stole him. Right out from under Napoleon himself. Wow! That is really fascinating. I enjoy learning little known facts. Sarah, I have to tell you that I absolutely adore the letters that are included within A Rogue by Any Other Name. They are tender and sweet and absolutely perfect. Did you write them before, during, or after writing the book? Thank you! They’re my favorite part of the book, too, and I have to confess that they almost didn’t happen. I’d had the idea to include some kind of chapter header from the beginning, and for a long time, I thought it would be Penelope’s diary. But there came a point while I was in revisions when I realized that Michael and she had exchanged letters...and they were written all at once, in one day, 24 hours before the book was turned in for copy-editing. Now, I cringe at the idea of the book without those letters! Talk about down to the wire! Oh my goodness, I couldn’t imagine the book without those letters, too! They really help to illustrate how close Penelope and Michael once were. Inside the Fallen Angel is a huge stained-glass mural of Lucifer that is described as “beautiful and grotesque—the perfect backdrop for this den of vice”. Is it based on a real picture? It is! While I was building the Angel, I knew I wanted it to be largely based on the idea that Lucifer was more than pure evil. The idea—the concept of sympathy for the devil—has artistic and literary legacy, and I was reading anything I could find to inspire the architecture (concrete and theoretical) for the club. After all, I was planning to tell four stories of the redemptive power of love—could there be a devil worthy of that redemption? While looking, I found a stunning statue, Le Genie du Mal, by Belgian artist Guillaume Geefs, and this piece is unbelievably beautiful. It depicts Lucifer, but he’s young and handsome and a remarkable specimen of divinity. He looks like an angel should look. And it’s only when you get close to the statue that you see his perversions—horns, talons, a chain wrapped around one ankle—and his tears. Here was the Lucifer I was looking for! The statue became my stained glass window. It is an absolutely beautiful statue! And it certainly helps me to “see” what the mural inside the Fallen Angel looks like. Okay, let’s talk about Bourne. He is a total bad boy hero and is now right up there with my all-time favorite, Saint from Suzanne Enoch’s London’s Perfect Scoundrel. Who are some of your favorite bad boy heroes? LOL! Ah, yes, we love our bad boys. *g* I know that you’ve been to London many times (lucky girl!). What is your favorite part of London today? What former building/landmark do you wish was still there to see? I adore London and have since I was a child and we would spend summers visiting with my British grandparents. Every time I go, I spend the first day doing the exact same thing: A wander through Hyde Park to Green Park, then up St. James’s (have to see White’s, after all), over to Bond and then zigzagging through the little mews and alleys of Mayfair. It’s hard to pick a favorite place in the city, but as a romance reader, it’s hard not to love Mayfair! As for wishing I could see something that is no longer there, these days I’m longing for Northumberland House, which was an enormous estate (held by the Duke of Northumberland) that actually sat on the Thames and had a huge piece of land that stretched down to the river. It’s hard to imagine such an estate in the central London of 2012, but it was there in the 1830s (demolished by the height of the Victorian era), and it’s the model for Dolby House, the London home of the Marquess of Needham and Dolby, Penelope’s father. Out of all of your heroines (including the one you’re currently writing), which of them is most like you and why? Oh, that’s so hard! There’s some of me in all of them. I would say that Callie has my self-doubt, Isabel has my fear of failure, Juliana my impulsiveness, Penelope my game face, and Pippa (my current heroine)...well, she’s odd. My sister read and loved your YA book, The Season. She would like to know—are you going to write more YA books? Yay! I’m so happy she enjoyed it! I’m absolutely getting back to YA. Just as soon as I figure out how to manage the deadlines for the next books in the Rules of Scoundrels series. I miss YA a lot...the community is wonderful and collegial, and nothing beats getting emails from young readers. Many readers (including me!) fell for a previous secondary character, Benedick, Earl of Allendale (Callie’s brother from Nine Rules). You know that I have to ask—do you ever plan to write a story for him? When I start a book, I have no idea which secondary characters will appear, or how important they will become. And in the case of people like Benedick, I really have no idea of who readers will love. But what I can tell you is that it’s not as easy as sitting down and saying, “Today, I’m going to write Benedick’s story.” In this particular case, Benedick’s heroine hasn’t shown up. I’m hoping that someday she will, because he’s just as real to me as he is to you, and I’d like to see him have his happily-ever-after! We’ll keep our fingers crossed that his heroine will show up soon! I know that much of your time is taken up with writing (which so many of us are positively grateful for! ), but what do you like to do when you’re not writing? Right now, I’m on deadline, so it feels like the answer to this question is “Sleep.” But here are the things that I’m dreaming of: getting back into my kitchen—I have a crazy recipe for merengue that I’m dying to try; taking my dog for longer walks...he deserves them and I need them; wandering around New York City to “fill the well.” I’m due for a trip to the Met. When I read the epilogue for A Rogue by Any Other Name I literally squealed and thought YES! *g* Can you share with our readers what is up next for you? Sure thing! This winter, look for One Good Earl Deserves a Lover...the story of the second partner in The Angel—the math genius—Cross, and the woman who runs him in circles. I’m also working on a new YA project, which hopefully will make for good news in the next few months! Yay! I’ll add One Good Earl Deserves a Lover to my TBB list! Okay, it’s Quick Six time! Coffee or tea? Coffee just out of bed, tea just before it. Alpha or beta? Alpha in fiction, beta in reality. Heels or flats? Shoes. The more the merrier. Early bird or night owl? Night owl. But I long to be an early bird. Comedy or drama? Comedy. Life has too much drama to begin with! Love the shoe answer. *wink* Thank you so much for answering all my questions, Sarah. Now, it’s your turn—is there anything you would like to ask our readers? I confessed some of my favorite rogues above, and this month on my blog some of my favorite writers have joined me to tell me about their favorite rogues—I’ve had Shana Galen on Han Solo, Sophie Jordan on David Beckham and Lorraine Heath on Lord Dain from Lord of Scoundrels—your turn! Who is your favorite rogue? 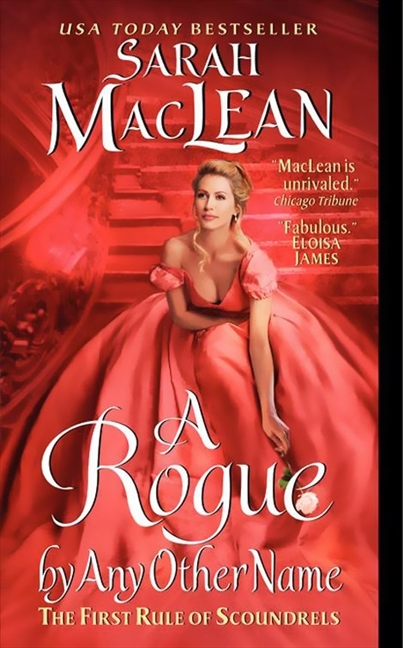 Avon has graciously offered to give away a copy of A Rogue by Any Other Name to one lucky commenter (living in the United States; no P.O. Box, please). Since I loved this book, I will also give one copy away to one lucky commenter (open to anywhere Book Depository ships). Please state in your comment if you live in the USA or abroad. Thanks! Eli, if you love Sarah's books, then you'll love this one. Enjoy! Oooooh, Anthony Malory! GREAT choice, Eli! I just finished reading "Nowhere Near Respectable" by Mary Jo Putney and put on my daughters bed today and since she is asleep I can't get his full name but Damian, the hero in that book, is my latest rogue. I just loved him. I already have "A Rogue By Any Other Name" on my wish list and can't wait to read. Great interview Sarah, thanks for stopping by to chat and share with us. Thanks Avon for the giveaway. Andrea, thanks for hosting. I live in the USA. I'm glad you enjoyed the interview, misskallie. And thanks for listing that you live in the USA. I think I'll add that to the blog. Thanks for stopping by! Happy Release Day, Sarah. Everybody loves Dain, but my favorite rogue is Vere Mallory from Loretta Chase's "The Last Hellion." Jane, I am one of the few people who have not read Lord of Scoundrels...or any Loretta Chase book. I hope to have the time to rectify that one day! I do love reading about rogues. Some of my favourites are Duke of Castleford in Madeline Hunter´s latest books, Derek Craven in Lisa Kleypas "Dreaming of You" and of course Sebastian in LK`s "Devil in Winter". Unfortunately I don´t live in the USA, but book depository works here. Oh, Serenissima, you have hit on one of my favorites--Derek Craven. Love him and his book! I agree with those already mentioned. My rogue would be Lucas Paine, Marquess of Basingstoke, from Kasey Michael's HOW TO TAME A LADY. Congrats Sarah on your success. You are a new author for me. I will definitely look for both of your series: Love By Numbers and Rules of Scoundrels! Laurie, I will have to check out this Lucas Paine. ;-) Yes, you must try Sarah's books! I have always loved Sebastian from Devil In Winter. I really do like a villian turned hero. They just misunderstood don't you know. Don't put me in the drawing, I couldn't wait so A Rogue by Any Other Name is already on my Kindle, can't wait to get home from work and get into it. You hit the nail on the head, Dianna--they are misunderstood. I hope you enjoy Bourne! Trisha, start the book ASAP! May, I've never watched True Blood. Should I be? I hope you enjoy ROGUE! Sarah, I am so-o-o glad you included those letters. Without them, I'd have lost faith in Michael. They kept me believing a few times when his behavior made me want to give up. Since I can never limit favorites to one, I'll go with the first rake to steal my heart and IMO the prototype, Damerel in Georgette Heyer's Venetia. I have a soft spot for Laura Kinsale's Allegreto..... a tortured hero if ever there was one. oooh - love thinking about bad boys :) I love Judith McNaught's Jordan Townsende from Something Wonderful - he's such a beautiful JERK, but he falls so wonderfully. And love Sabrina Jeffries' Oliver Sharpe, the things he says during intimate moments - WOW! And most recently, I love Eileen Dreyer's very bad boys, because they weep (in private, of course). Honestly - how can we choose? I love Julie Garwoods Brodrick character in Ransom. I read that book over and over again. I haven't read that one, Rebekah. Thanks for the rec! Great interview! Love your answers on the quick six. Can't wait to read your new book. Thanks, Quilt Lady! I'm glad you liked it. I hope you enjoy the book! I AM SO LOOKING FORWARD TO THIS STORY!!! Hurray, another Sarah MacLean book!!!! Oh, Deb, my love for Saint knows no bounds. LPS is one of the few books I've read multiple times. I just can't get enough of him. *g* I hope you enjoy A ROGUE BY ANY OTHER NAME! Thanks, Karyn. Yes, St. Vincent is a very good choice. Very good, indeed. :) Thanks for stopping by! My favorite rogue tends to be the one I am reading about at the moment. I just finished Ten Things I Love about You by Julia Quinn. Sebastian Grey is a perfect rogue. I have really enjoyed your books, Sarah! Congratulations on your release! I would love to visit London one and I can say historial romances have played a big part in motivating me. I would visit estates, inns and other locales from historical times and image how the characters lived. I adore rogues and one of my favorite is Calder Hart from the Deadly Series by Brenda Joyce. I totally agree with you, Na. I believe that reading historical romances have made my desire to visit London/UK even stronger. I so long to see some of the places I read about! Oh, Gannon, I love Jack Dodger! What a great choice! Thanks for the interview. I'm liiking forward to reading this book. I agree that Sebastian and Derek Craven were favorite rogues. I recently started reading Meredith Duran's books and she has created some interesting rogues, too. Sebastian from Devil in Winter, a book I read about once every 3-4 months just because I love it so much. LOL! I'm glad to hear you had a good night of ready, Wendy! Congratulations Sarah on your new book! It looks like a good one. I would have to pick St. Vincent from Devil in Winter as my favorite rogue. Sarah it is so good having you with us again. I can't wait to read the book. And man what a gorgeous cover. What a wonderful interview, thank you for sharing with us today. I really enjoy reading your books. It seems once I start them I have to finish them right away. I'm really likin' the cover of A Rogue by Any Other Name big time! It's just soooo pretty! Big congrats on the new release! I just can't pick one favorite rogue, I think they're all great! I do LOVE all those 'bad boys'!! Please do not enter my name in giveaway, I will have your book in my hands soon! Dalila, you are in for a treat! I know you'll enjoy it! Great interview! Can't wait to start reading your new book, Sarah! Hi Sarah, can't wait to read this like everyone else. I see two of my favorites mentioned, Derek Craven and Enoch's Saint (such a rogue from start to end). Thank you for the interesting interview. My favorite rogues are from the very first romance books I read, all by Julie Garwood. Connor MacAlister from THE WEDDING and Baron Duncan of Wexton in HONOR'S SPLENDOUR are a bit closer to being rogues than most of the others. They are all strong, powerful men of purpose and honor as are all her heroes. They, however, have issues and want revenge and plan to use the heroine in their schemes. Sarah, the sculpture is incredible. I don't understand how it can be possible for someone to start with a block of rock and end up with something ofsuch beauty. I have to agree with Librarypat on Connor MacAlister, loved him. Also Ranulf de Warbrooke, Jude Deveraux's Black Lyon. And every Warrior from Brenda Joyce's Master's of Time series. Last but not least is Roarke from the In Death series by JD Robb.Sarah, I cannot wait to read this book and see Penelope get her HEA. Congrats in your new release. I'm going for a pirate, one Captain Jack Sparrow. The epitome of rogue. I know he is not literary, but I could not resist & I would not. Thanks so much for a fun and wonderful interview. It was so much fun learning not only more about Sarah (in her own words) but also about her characters and how she approaches writing. My favorite Rogue is one I've only heard about in letters. My father was in Real Estate and back in the late 1950's a seller asked him to clean out and thrown some boxes that were being left in the attic. He made a fascinating discovery of some old, really old, letters. Leaving from up-state New York "The Rogue" writing the letters left a wife and children behind to "strike it rich" during the gold rush. He writes back to said wife about everything from fighting the Indians, to being attached by renegades. He could read and write so he was even made a Judge in the "western territories" and fianlly after several more years ventured further and reached the gold fields of California. Of course on his travels he did mention a saloon or two! The one theme that repeats iself in these letters to his wife are "I"m sending you money soon", "I don't understand why you didn't received the money I wired from ...." and "I'll be sending for you soon", I'll be sending the money so you can buy tickets soon". Anyway, you get the picture. The one thing I have to say for The Rogue is that he did write in an inconsistantly consistant manner - about once every month or so and he always promised to send that money soon. After years of receiving the letters there were no more - or at least no more saved! I've always wonder if the wife left behind might actually have been better off than if he stayed! Now what do you think? Every Rogue is my favorite! I always think of a Rogue as having a twinkle in his eye as he goes about doing things that are frowned upon by the society mavens (then they give him a coquettish smile when he favors them with a grin). Hi Sarah and Andrea, and thanks to both of you for a wonderful review and chat. I am really looking forward to this new book and series! First I have to agree with everyone else, Andrea, that you must read Loretta Chase and watch True Blood; what are you waiting for!! That said, you will understand that some of my favorite bad boys are Eric Northman from True Blood as well as the ever popular Sebastian St. Vincent in Lisa Kleypas' Wallflower series. However, my very favorite pick would have to be Laura Kinsale's hero from "Flowers from the Storm." Christian, Duke of Jervaulx, a supreme rougue and scroundrel who is also "powerful, rich, intelligent and locked in a lunatic asylum." I don't want to spoil this book for anyone who has not yet read it; I'll just say it is a must read for all Historical Romance lovers! Oh, I forgot, HAPPY LEAP DAY! And I live in the good old USA! OOO, Lord Dain from Loretta Chase's Lord of Scoundrels! 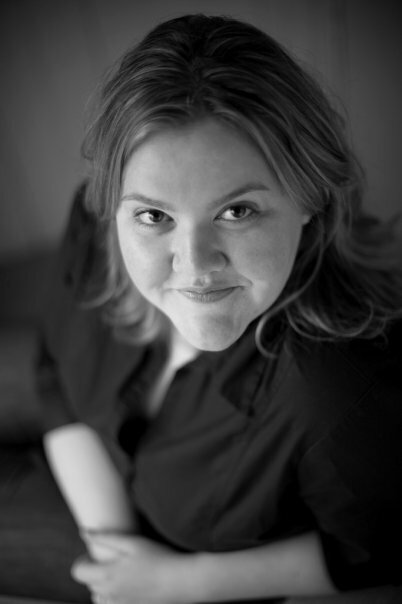 She writes about bad boys beautifully! :)Also the duke in Julie Ann Long's What I did For A Duke which i read recently was absolutely marvellous. I think I need to re-read this book, it was such a blur because I was rushing so much :) Love Damon from Vampire Diaries and Eric Northman from True Blood... So many bad boys, so little time! I wish you luck with your merengue recipe, Sarah! I make a mean merengue cake and I know they are tricky to make. Congratulations on the book! Your books are great! Looking forward to reading this one.